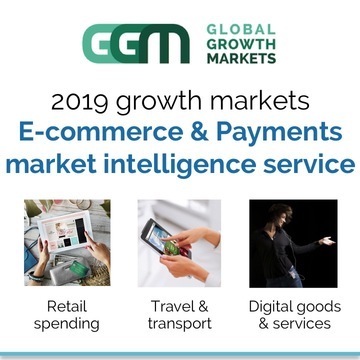 GGM's 2019 E-commerce and Payments growth markets intelligence service pre-launch offer is now available, giving you a 25% sponsor discount and access to accurate market size data, reliable insights and private custom research topics. Covering Retail, Travel & Transport, and Digital Goods & Services, the service includes country level spending data and analysis for Southeast Asia, China, India, Latin America, Middle East & Africa and other growth markets. 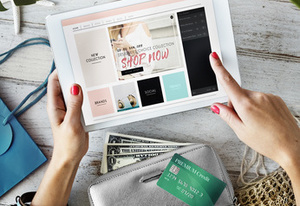 E-commerce and the global payments space is evolving rapidly and there are huge opportunities in fast changing growth markets such as the Middle East, Southeast Asia and China. While the underlying drivers show some consistency internationally, the ways in which individual countries, cultures and regions have adopted different payment methods are unique. Young consumers in some areas of Eastern Europe and Asia have few qualms about leapfrogging traditional banking methods and moving directly to digital wallets offering lower fees and targeted value propositions. While digital payment growth is ubiquitous globally, newly banked consumers are still adopting card payments, and cash is entrenched in developing markets even as a payment method for online goods. 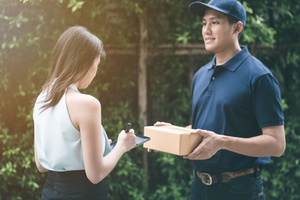 While some e-commerce companies tap into the potential for cash spending, progress is also being made with alternative payment methods to wean more traditional markets away from cash. In Southeast Asia for example, our latest research shows a USD74 bn market for B2C e-commerce, with non-card payments representing 32% of total value. This market is projected to grow at a 28% CAGR to 2021 and beyond, led by rising incomes and the large unbanked population gaining access to e-commerce. This annual data and insight service measures online spending broken down by payment methods and market segments in key geographies, and identifies trends in payment usage with forecasts to 2021. To explain the trends behind the numbers, our in-country consultants conduct interviews with leading local banks, payment platforms and e-commerce merchants. And our analysis provides insights on consumer preferences, merchant perceptions, market opportunities and competitive gaps, to help you tap into future demand. National level market data for they key countries in each region, plus regional summaries. Clients may subscribe to one or more regions. Market data (2014-18), forecasts (2019-21), insights and analysis for performance benchmarking and planning. Optional data add-ons: On request, eg. offline transaction data, leading players, payment card penetration, etc. The research and analysis is based on primary research by our in-country consultants, targeting banks and card companies, leading e-commerce merchants, local digital payment providers, payments experts, regulators and others, in addition to exhaustive public domain research. Contact us before 30-Apr-19 to qualify for the 25% sponsor discount and the option to include private custom topics, using our research program to answer your questions about the market.